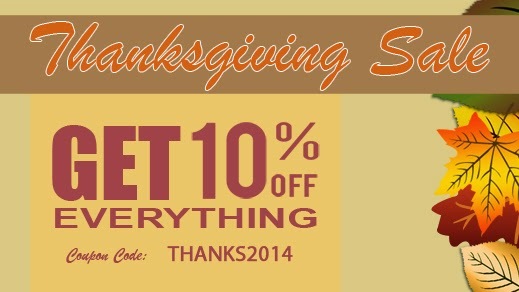 TonerGreen Thanksgiving Sale 2014 - Get 10% Off Everything | TonerGreen - Eco-Friendly Toners from the U.S. Happy Thanksgiving! For now until Cyber Monday, get 10% off everything in our store. It's the perfect time to stock up on remanufactured toners, inks, and office supplies. Just use coupon code THANKS2014. As always, orders $50 and up qualify for free shipping. This offer is not valid on OEM products and ends on December 1, 2014. Go to TonerGreen.com now to shop. To avail TonerGreen's Thanksgiving Sale 2014, all you have to do is to paste or type TonerGreen's coupon code "THANKS2014" at the designated coupon code box located at the checkout page in order for you to get the 10% off discount. TonerGreen Thanksgiving Sale lasts until December 1, so you have a long time to acquire this promo. This offer, though, is not valid on OEM products and cannot be combined with other coupon codes and on-going promotions. TonerGreen offers free-shipping for orders $50 and up, while for orders $49 and below, get your supplies shipped for only $6.96 flat rate. Aside from that, TonerGreen also gives a 10% off discount on orders $50 or more by simply liking TonerGreen's Official Facebook Fan Page and redeeming the special coupon code to get the discount. TonerGreen also offer a 10% Off $300 Order Deal, an all-year around discount promo for customers whose purchased order will reach the amount of $300 or more. To avail this discount just use coupon code "TENOFF300". Shipping is free, of course, in this promo. You can also check TonerGreen Coupons Page for more discounts and deals. Our wide selection of eco-friendly printer supplies include replacement toner cartridges, ink cartridges, drum cartridges, fuser kits and maintenance kits for printers under popular brand names like HP, Brother, Canon, Epson and Samsung. Our products are all eco-friendly, with the intention of contributing to energy conservation, sustainability, and environmental responsibility.